Precision Planting, LLC is launching two new products and updates to their 20|20 display that growers can add to their existing planters to provide greater control over most row unit functions. 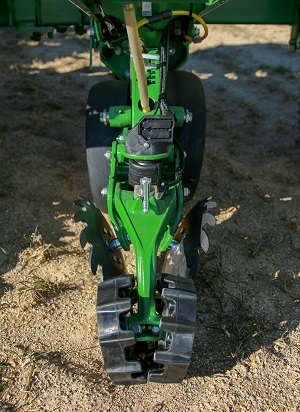 The first stage uses notched wheels to close the furrow by shifting the soil inward to ensure proper seed-to-soil contact. Next, stitch wheels firm the soil around the seed to the proper density in order to maintain moisture in the soil after planting. A closing load sensor links the two stages together, sensing weight carried by the stitch wheels and providing visibility to the closing performance on the 20|20 display. 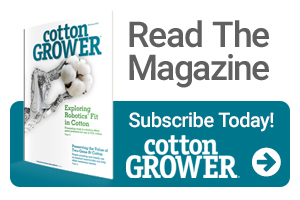 A control module on each row automatically adjusts the force applied to that row’s closing system to ensure that the seed furrow is being properly closed and firmed for consistent and speedy germination of the seed. The new SmartDepth system allows planter operators to change planting depth from the cab as they plant through the field. This change can be made manually or be based on a moisture reading from the Precision Planting SmartFirmer, a device which measures how much moisture is available for the seed to uptake in the furrow. 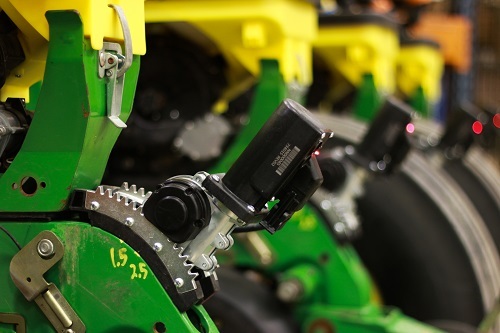 SmartDepth allows for easy depth adjustments and can control the depth of each planter row individually based on moisture when paired with a SmartFirmer. The new 20|20 Connect phone and tablet application allows operators to connect their mobile device to the 20|20 display to perform frequently-used functions, such as diagnostics and health checks, from outside of the cab. The 20|20 display – a product launched in 2018 – has also been updated, including WiFi connectivity in the cab through pairing to a mobile hotspot. The hotspot connection enables the operator to view background satellite imagery behind their planting, harvest or side-dress maps and also update software directly on the display without the need for a USB stick to transfer the software. For more information about Precision Planting products, reach out to your Premier Dealer. Based on information provided by Precision Planting, LLC.